To enroll in a SDI Open Water Diver (or Junior Open Water Diver) course, you must be 10 years old or older. No prior experience with scuba diving is required. You must demonstrate mature and sound judgment concerning dive planning and execution. Take a look at the SDI Medical Questionnaire, by clicking on the SDI Logo below. Please answer the questions on your past or present medical history with a YES or NO. If you are not sure, answer YES. If any of these items apply to you, you must consult with a physician prior to participating in scuba diving. To look at the SDI Medical, click on the SDI Logo below. 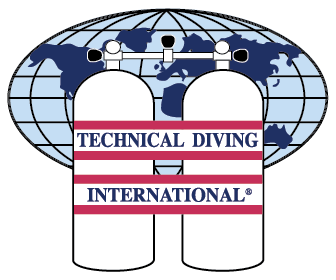 To enroll in a TDI Technical Diving course, you must be 15 years old or older. You need to be an SDI Open Water Scuba Diver (or equivalent) and in good physical health. You must demonstrate mature and sound judgment concerning dive planning and execution. To take a look at the TDI Medical Questionnaire, please click on the TDI Logo below. Please answer the questions on your past or present medical history with a YES or NO. If you are not sure, answer YES. If any of these items apply to you, you must consult with a physician prior to participating in scuba diving. To look at the TDI Medical, click on the TDI Logo below. At Calgary Scuba, we are interested in your safety, comfort, and peace of mind. We take your training seriously. Even if you choose not to take a course with us, we feel it is critical that you are aware of the basic risks of the sport, and fully understand the importance of making wise choices that may potentially affect not only your future, but the future of your loved ones. Buy Divers Insurance! To take a look at the various Dive Insurance options available through DAN, please click on the DAN Logo below. Most divers take their air fills for granted. If you have never seen an air sample certificate at your local dive shop, how do you know they are maintaining their air quality? In accordance with CSA Breathing Air Requirements, air must be sampled at least twice yearly. Ask to see a copy of their air sample certificate. Calgary Scuba believes in providing our Divers with the best service and quality available. We sample our air three times yearly for your protection and safety.